In this smart connected world where IOT (Internet of Things) is getting mainstream with people and their homes, kitchen gadgets and accessories are not left behind in the race of innovation and becoming connected with this networked world to make things easy in the kitchen for its users. So come on folks without any further delay lets hop on to the list of some useful and interesting kitchen gadgets given right below to make our time in kitchen pleasant and food delicious. In this article, we are sharing Top Five Best Smart Kitchen Gadgets, IoT Equipment and Tools for Smart Cooking. It's a pleasant smart scale for cooking food with great recipes. It measures every ingredient you put on it for making the ideal recipe after synchronizing it with the scale application on your cell phone. With this on your kitchen shelves, you can cook a delectable dinner each time regardless of the possibility that you don't know how to cook recipes at first when starting with cooking. In addition to that, it's accompanied non-slip surface which enables the recipe ingredients portions or your measuring bowl to stay immovably on it while you check out the recipe on application to make great food every time. 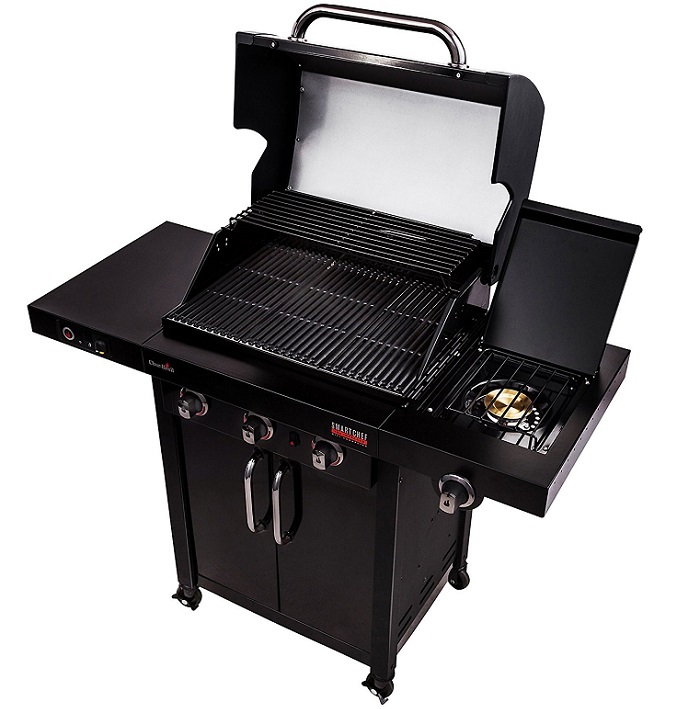 Grills are an essential equipment for making good food in every kitchen and outdoor patio but what’s better than having a smart bbq gas grill in your lawn which is well connected to your smartphone via WiFi and gives a lot of information about cooking food on the smartphone app. New charbroil smart chef 420 grill does that, as with your smartphone app you can fully control your grill and change different cooking modes, settings, get notifications and alerts when the smart grill is ready with the cooked food for enjoying with friends and family. It’s a smart thermometer which allows you to capture your food temperature which then you can see on the Bluetooth connected app easily. 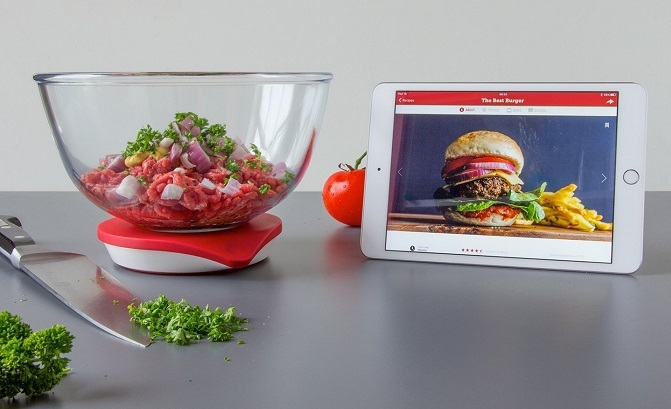 It also sends alerts and notifications which make it easy for you to cook the perfect meal and prepare marinades or attend to phone call while the food gets cook perfectly up to the required temperature. 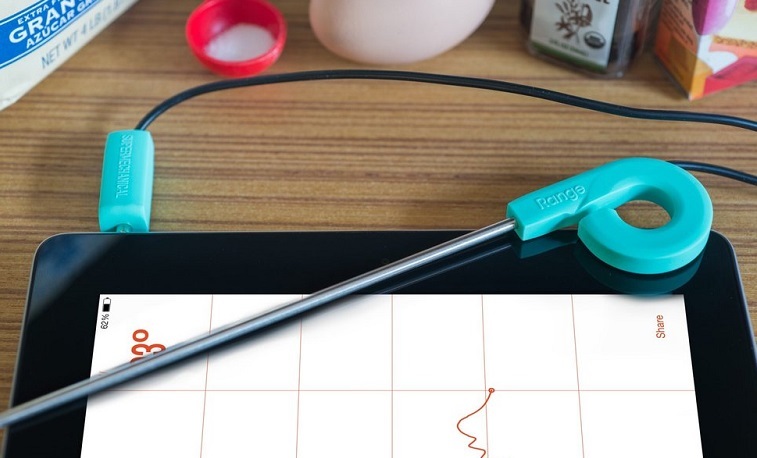 Buy it, and you won’t regret buying this greatly connected thermometer for your kitchen. 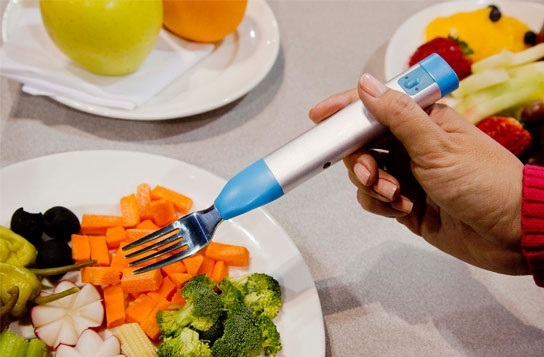 Are you a fast eater who eats more than require and later regret for obesity than this HAPIfork is meant for you only, as it gives you alerts with the help of led lights and slight vibrations to curb your habit of rapid eating which leads to over eating and ultimately problems like obesity, acid flux and many more in later stages of your life. Besides that this forks record all your eating habits like eating time, the interval between servings, servings size and much more to give you an insight into your eating habits after synchronizing the fork with an online dashboard or mobile app via Bluetooth or USB easily. 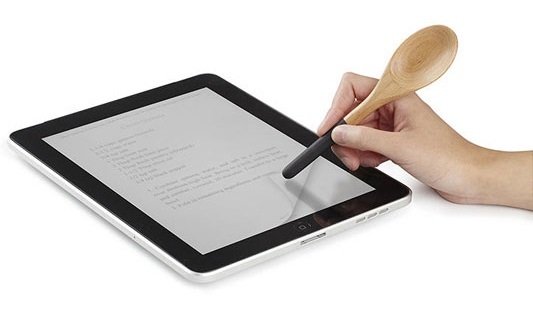 It’s a well-designed spoon keeping in mind our connected lives as it comes with a stylus on its back which can be used with any kind of tablets like iPad, Kindle etc. and other smart phones or gadgets that require stylus for operating to make working in kitchen with your phones easy when your hands are dirty and messed up while preparing something incredible. Moreover, it can be quite handy while referring to recipes from your smart devices in the kitchen while cooking them side by side, as you don’t want to ruin your device or food by cross contamination of germs or dirty hands. 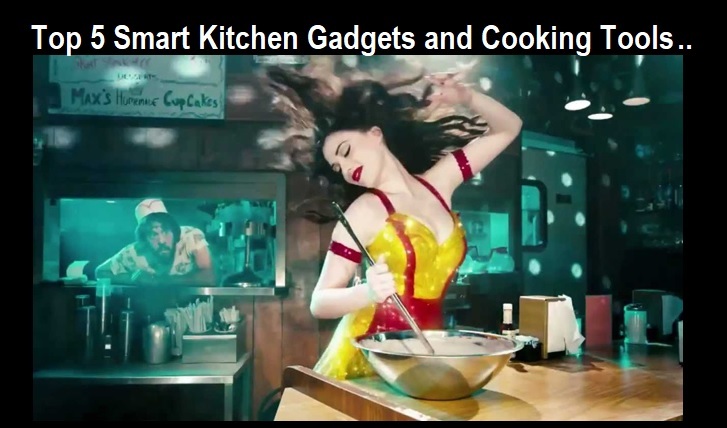 Hope you liked our collection of some Smart Kitchen Gadgets for Smart Cooking which would help you cook delicious food in your kitchen with full enthusiasm and safety. Don’t forget to share it with your friends as it could help them too for cooking tasty and healthy food in their kitchen.